Biggie was a genius. While I would not consider him the greatest, he is definitely one of the best to EVER do it. Today marks the anniversary of his passing away. I still remember where I was March 9, 1997. My roommate and I had decided to spend our Spring Break in Texas with my folks. We packed up the car and headed down I-10, singing and laughing with the sun shining brightly on our 20-year-old selves. Somewhere between Mississippi and Louisiana, we heard the news. 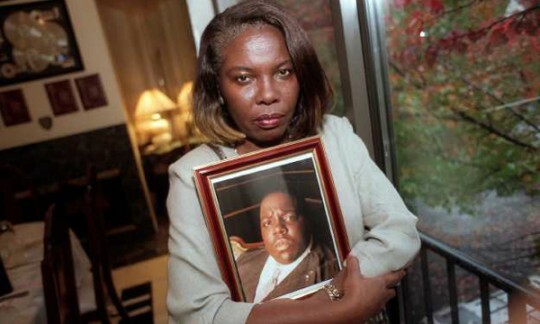 The Notorious BIG had been shot in Vegas. Some speculated it was Suge Knight's payback for Tupac's death in September 1996. Some accused Biggie's confidant, Diddy (Puff Daddy at the time), of being involved with the melee. Either way, a YOUNG soul was gone. I once heard Erykah Badu say something about how one has to be careful when you tell the world you're "Ready to Die" via an album title. Words have never been truer. My personal Biggie favorite, Everyday Struggle, captures the angst of being young and making decisions you're not exactly proud of because you feel trapped. All of that angst, of course, is put to a beautiful track and expressed with awesome lyrics. Warning: STRONG language ahead! Instead of lamenting about violence and the demise of youth culture, I'll instead focus on Biggie's brilliance. His music at the time, like many of my other favorites, was like his rite of passage. He wove together vivid stories infused with what it meant to be a young 20-something, confused, afraid, and surviving in tough times. The beats he chose for his albums were crazy, but strip away the beats and tune in to the words. He was a griot. He was a master at words. Who knows where his genius would have taken him. So, in remembrance of the young, yet troubled, brilliant mind that is Biggie, let's end with one of my Hubby's favorites, Sky is the Limit. He loves the line "Stay far from timid. Only make moves when your heart's in it, and live the phrase 'Sky's the limit'." Until next time . . . Keep on, just keep on pressing on.